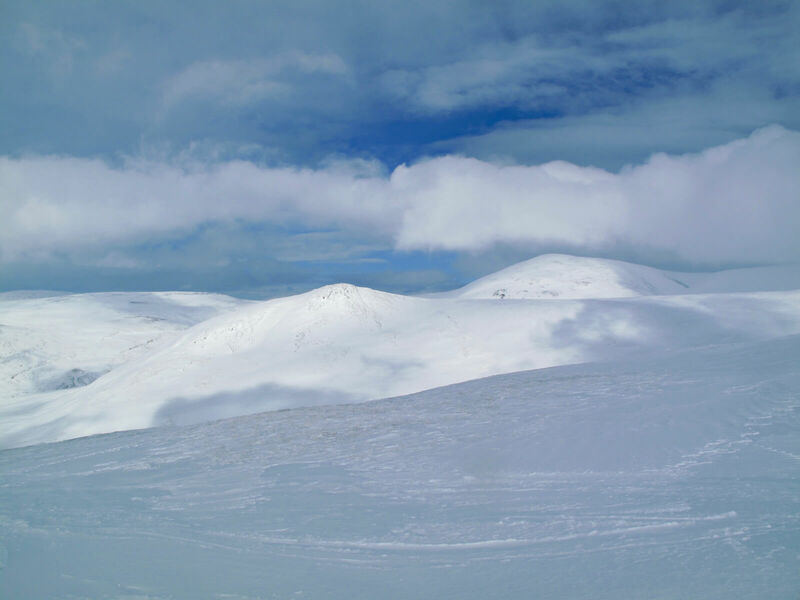 SAIS Southern Cairngorms Blog » A view….eventually! After a cloudy start with poor visibility the cloud eventually broke enough to give a decent view. 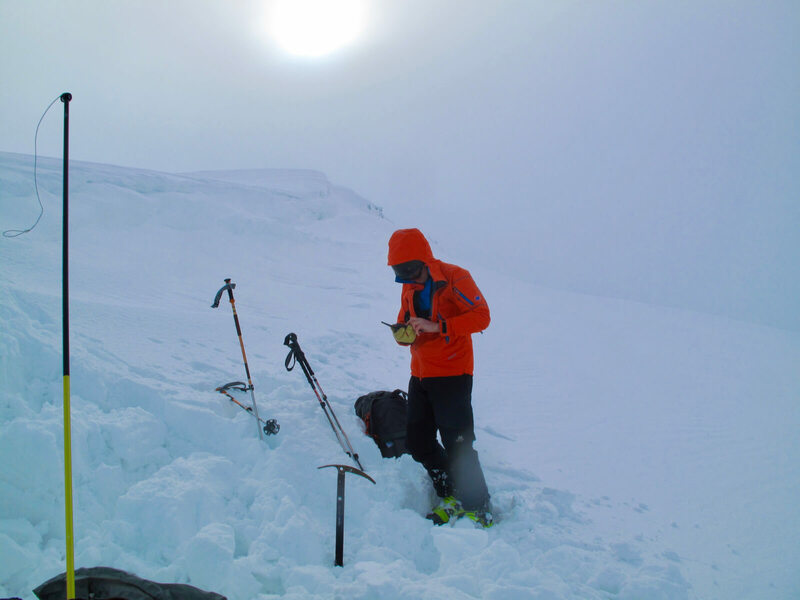 The cover is good with some great skiing, some scoured areas and definitely some unstable areas persisting. 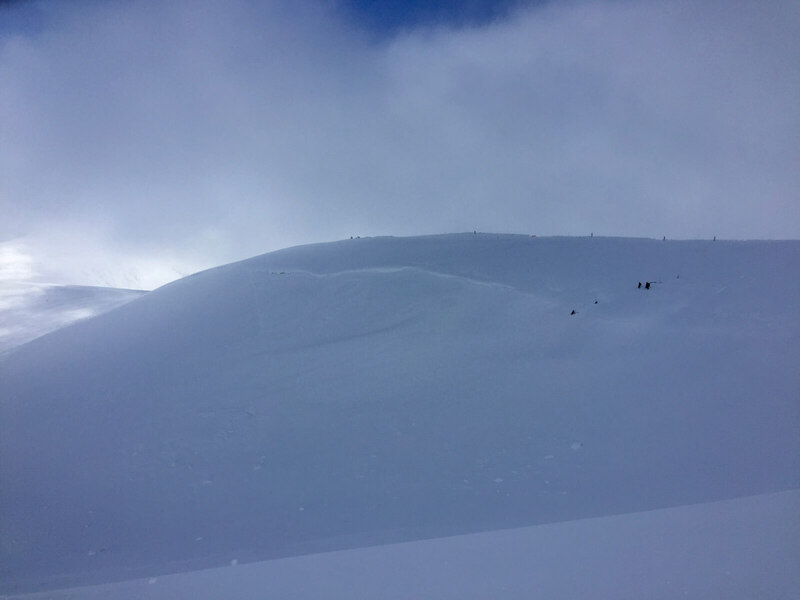 With visibility, the ski touring options are excellent but BMRT guys were reporting some large cornices and wind features on their ski tour today which were difficult to see in flat light. 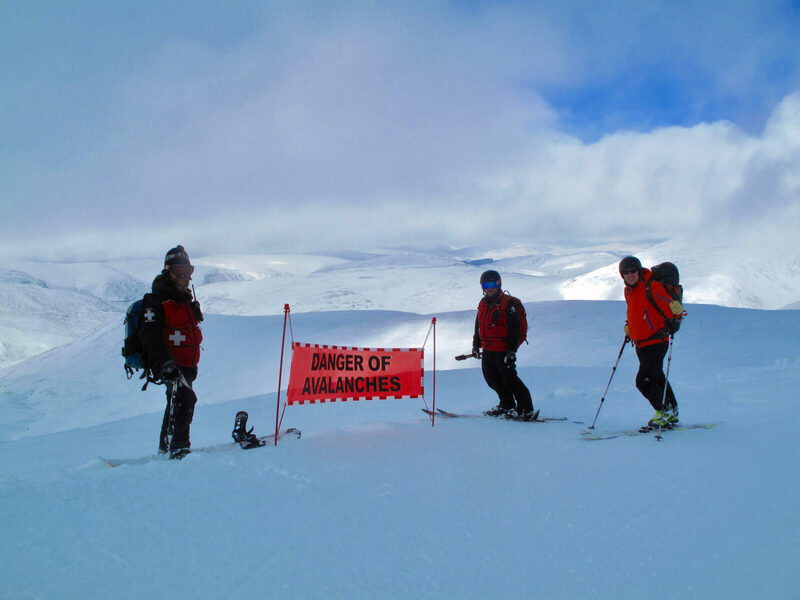 Glenshee Ski Patrol keeping a close eye on the West Wall. Large cornice and unstable windslab there at present. 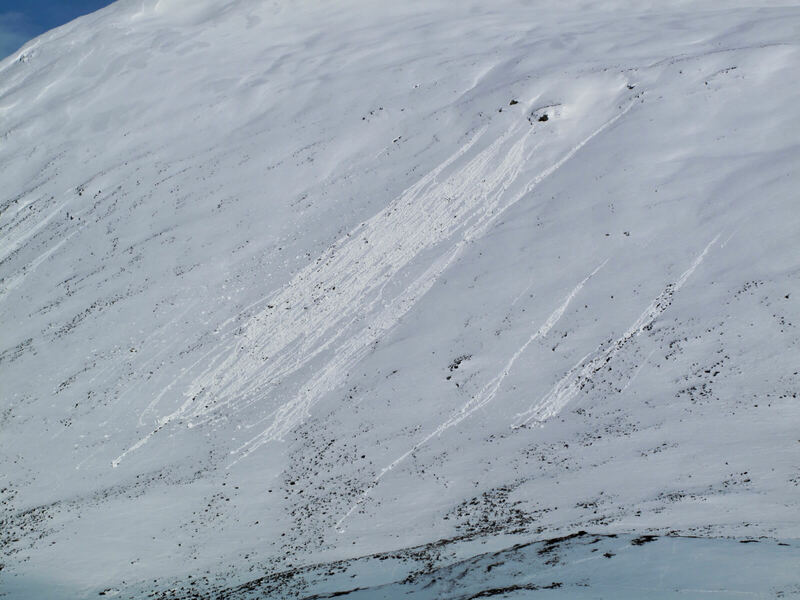 Glenshee Ski Patrol and SAIS taking a look at the corniced West Wall. Diagonal stauchwall just visible on left of shot. 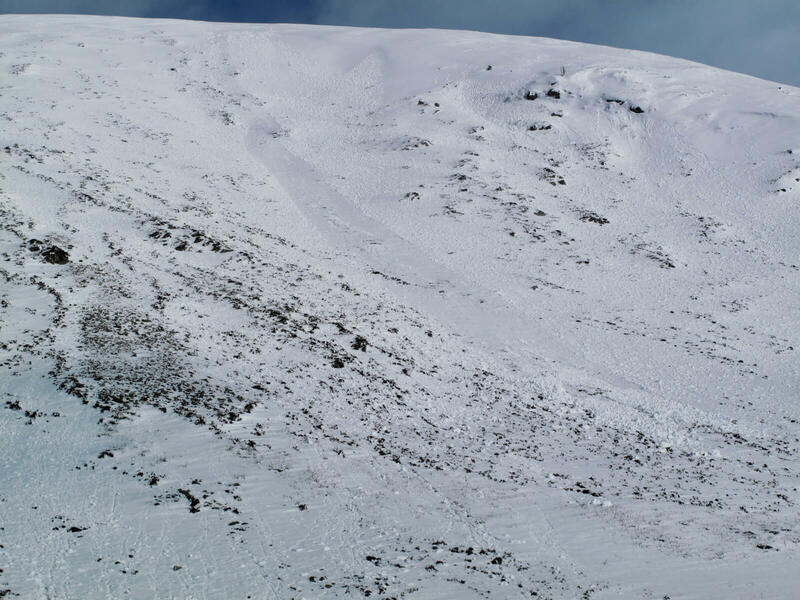 Shallow Class 1 avalanche on a Westerly aspect today. Strong sunlight affecting surface layers. Thanks to Kenny from BMRT for keeping me company today. Bright jacket made him easy to spot when the cloud dropped in! Single point releases in the strong sunlight. Sunlight breaking through the cloud. 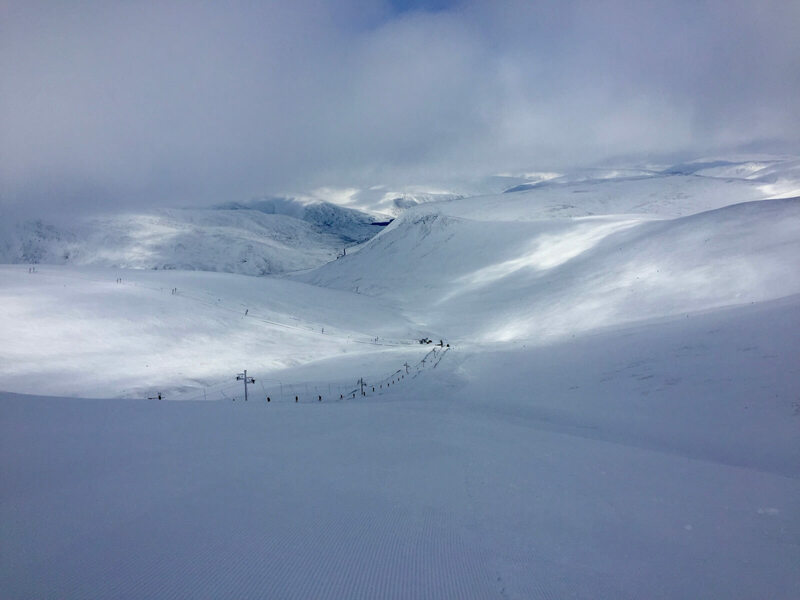 Thanks to Kate, Head Ski Patroller, Glenshee Ski Centre for this photo. 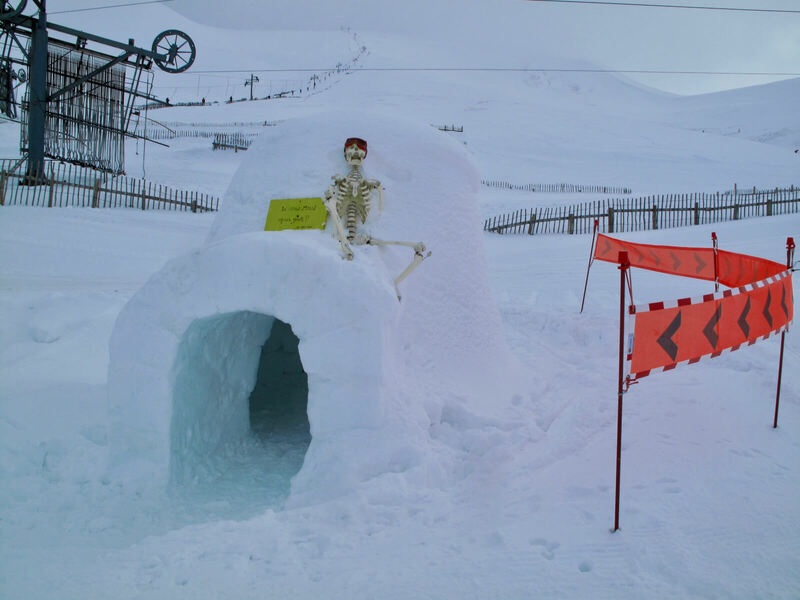 Glenshee Ski Centre staff with a sense of humour and impressive igloo building skills!